Registering a business in Malaysia has flourished over the years. As Malaysia continues to attract numerous talent to its shores, demand amongst both local and foreign entrepreneurs continues to rise. Ranked as the top 10 country in the world when it comes to ease of doing business by the World Bank, Malaysia is one of Asia’s most vibrant business hubs. A country that has recently had a change of government, their stability and affordability has attracted many foreign business back to the nation. With plenty opportunities available, there is no better place than Malaysia to start your business. 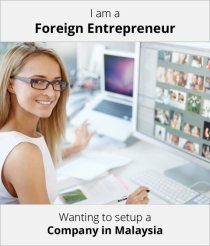 Many seek out the perfect guide for how to start a business in Malaysia for foreigners. Well, look no further because you’re already at the right place. Generally, the entire incorporation process in Malaysia will take about 5-7 working days to complete. This includes registering your business with Suruhanjaya Syarikat Malaysia (SSM), the national regulatory body for Malaysia company registration. The incorporation time frame would depend greatly on the accuracy and completion of the documents and information provided. The speed of the process will also depend upon SSMs MyCoID online system. Running a business in Malaysia means you benefit from the country’s 68 double taxation treaties. This helps to significantly reduce the cost of withholding taxes and fund transfers abroad. There are also no withholding taxes levied on any dividends which are made abroad by Malaysian businesses. Technically, it possible for a foreign corporate entity or foreign investors to open a company’s bank account in Malaysia. Opening a company’s bank account in Malaysia should not be difficult, but different bank might impose different rules and requirements for the application. When you are ready to start a business in Malaysia, it is definitely worth engaging with Paul Hype Page & Co where you can open a company’s bank account with the assistance from our Corporate Specialist. In Malaysia, the Malaysian Development Investment Authority (MIDA) has mapped out several different visa options for entrepreneurs depending on the circumstances. If you are planning a long-term stay in Malaysia, the Malaysia My Second Home (MM2H) Programme is a good option for foreigners who want to stay and invest in Malaysia for a longer period. However, these participants are not allowed to work/be employed while staying in Malaysia except those who were issued special work passes. Depending on the type of job and skills, different working passes are issued when obtaining a work permit. Employment Pass: This pass is issued to employees with specific skills, usually for technical or managerial jobs. The minimum period is usually 2 years. Temporary Employment Pass: Issued for employment for less then 2 years or for jobs with a monthly salary less than RM 5000. Professional Visit Pass: Issued to foreign nationals who remain employed by the company in the home country but are required by a Malaysian company to provide certain services for a period up to 6 months. In Malaysia, foreigners can run their 100% Sdn Bhd company with full control. However, there are certain restrictions with the permissible business setup in Malaysia. License requirement: Wholesale, retail & trade license (WRT) for businesses in retail, trading (import and export), distributive trades, restaurants, franchise business and services and consultancy. With the recent 1 Malaysia Developement Berhad case that shook the whole world, Malaysia is taking a more strict approach with new investors coming into Malaysia. That means, when you are getting your company registered in Malaysia, we at Paul Hype Page will conduct a stringent search on you and your company, so that the Malaysia In corporation process will be an easier process. We at Paul Hype Page believe, that it is best to have the right customers rather than having all the customers. A Sdn Bhd in Malaysia is considered a legal entity, and its liability is limited by shares. This is incorporated as a private company. When the business registers is name, the words Sdn Bhd will appear together with the company’s name at the end. This is the most common business entity form in Malaysia. Its popularity among local Malaysians and foreigners being due to the fact that it is considered a separate legal entity from its shareholders. A Berhad company in Malaysia has the option of offering its shares to the public. This business entity is usually governed and listed by the Securities Commission of Malaysia. Large businesses tend to prefer this business entity model when operating in Malaysia. An LLP entity in Malaysia is a combination of both a private limited and a partnership company. LLP’s are a corporate body, and a separate legal entity from its partners. Some businesses prefer this model because of the perpetual succession option. With fewer compliance requirements, an LLP is an affordable business model. LLP is deemed as a legal person. You can rent, lease, buy, own property, employ staff and enter into contracts and be held accountable if necessary. This entity has a similar concept to the sole proprietorship business entity. The key difference here is that a partnership entity involves more than one owner. This is among the simplest and cheapest business model entity options in Malaysia. This entity consists of only one owner. The owner only needs to pay an annual fee to the Companies Commission of Malaysia every year for the business renewal. This entity also does not need to submit audits or conduct annual filings. A common entity preferred by non-profit organisations (foundations, charities etc). With this business entity, the liability of its members are limited to the amount which the members have undertaken or guaranteed to contribute. May apply to the Minister for a licence to omit the word Berhad or Bhd from its name. This entity option is the equivalent of a foreign branch office in Malaysia. It is usually registered as an extension of the parent company, and therefore, it is not considered a separate legal entity. Foreigners are only allowed to register Sdn Bhd companies. The other entity options (Bhd, LLP, sole proprietorship) are meant for Malaysia citizens only. Foreign companies can be 100% foreign owned if you invest the minimum paid-up capital of RM1,000. You do not need to be physically present in Malaysia to incorporate your company. Why? Because with Paul Hype Page & Co, our patent ibizfile makes your Malaysia Company Incorporation as easy as a mouse click away. If there is a market for your kind of business activities? Is your business permissible by Malaysia’s authorities? Can it be 100% foreign-owned if needed? Malaysia also adopts a territorial system when it comes to income tax. This means that a company is assessable based on income derived in or accrued from Malaysia. This is regardless of whether the company is resident or not. If an income is derived from sources outside Malaysia, and they are remitted by the resident company, the income is exempted from tax. The very first step begins with incorporating your company with the Companies Commission of Malaysia (SSM). However, this step can only be done by a licensed corporate service provider, just like Paul Hype Page & Co. With us, you can rest assure that our dedicated expert Corporate Specialists will help you register your business with SSM in Malaysia with ease. One of the most important decisions you can make when starting a business in Malaysia is to engage the right team of professionals. Therefore, you should understand that we are #1 when it comes to this service. With years of experience, we have the knowledge and experience needed to offer you all your one-stop business solutions for the best price. We make registering a company in Malaysia a smooth and effortless transition. Our expert Corporate Specialists will handle all your business requirements from start to finish. Have a registered office in Malaysia as your professional business address. It is common in Malaysia to use the secretarial office as the registered office address). The director of the company should have a clean record. They must not have been declared bankrupt, convicted or imprisoned for the past 5 years. However, if you don’t have a resident director and you need one, Paul Hype Page can provide you with our Nominee Director Service. The company secretary of the company must be a member of any of the prescribed professional bodies or licensed by SSM to qualify for the position. A company secretary must be appointed within 30 days after incorporation, in accordance with the Companies Act 2016. Paul Hype Page can also provide you with our Company Secretarial Services if it is needed. 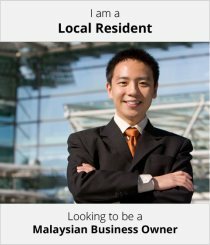 For a foreigner to start a business in Malaysia, you will need to provide a copy of your passport. You will also need a local resident address to get started. If needed, you may depend on our Nominee Director Services to fulfil this requirement. Shareholder(s) of your company can either be a natural person, or a corporate entity. If your shareholder is a corporate entity, you will need to provide the corporate shareholders with a copy of the registration documents. These documents include the Certificate of Incorporation, Memorandum and Articles of Association Constitution or a Certificate of Incumbency or its equivalent. You must also provide proof of registered address. These same requirements above are needed until such time where an individual shareholder can be determined or identified. You will need to provide details of the corporate representatives of all the corporate shareholders involved. This includes written authorisation given by the corporate shareholders to the corporate representatives. Politically exposed individuals cannot be named directors or shareholders. A politically exposed person is an individual who has been, or is currently entrusted with prominent public functions in Malaysia or other foreign countries. This individual is also someone who is, or has been entrusted with prominent public functions by an international organisation. Politically exposed individuals can include close associates or family members. They will not be able to serve as directors or shareholders of your company. Funding your business is one of the most important initial aspects to consider. It is a major foundation which determines the success of your business moving forward. The considerations you need to think about are is there enough funds available to start your business? Is borrowing and getting into debt a good idea? How much are you going to need to start your business? Why Choose Paul Hype Page? Being in the industry as long as we have, Paul Hype Page has perfected its skills and expertise over the years. We have become the number one incorporation experts in Malaysia, Singapore and Indonesia. When you work with us, you’re working with the best in the business. When you choose Paul Hype Page, you are choosing the fastest way to incorporate your company in Malaysia. We comply with all existing statues, laws and regulations so you can focus on what matters most – running your business. Paul Hype Page & Co – SSM service provider and Asean Chartered Accountant. Kindly provide us a detailed quotation for setting up a company. Please list down in details of the services included. Please also advise the monthly secretary fee. You may fill up your information in our company registration form should you be ready to incorporate your company in Malaysia. You can also refer to our standard rates via our link for Corporate Support Services. My Colleague will email you with more details later. We thank you for your enquiry. We support our clients to set up company in Malaysia. There are many types of company incorporation in Malaysia. The best form of company for you totally depends on you and your business requirement. Hence we would like to recommend you to set up an appointment with our country manager, Mr Neo (neo@php-cpa.com.sg and +6012-3830252). During the appointment, we will discuss your requirement and propose the best solution for you. FYI, our company formation packages starts from MYR3,500 onwards and also included in the package is the full year (12 months) company secretary retainer fee. Look forward to hear from you at the soonest. We (Heramb Groug) are an international trading company with the head office in Dubai and marketing offices in India and Brazil and Singapore and Ghana. We deal primarily in Timber which involve importing and distributing of various Malaysian and South American Timber species in the world markets. Now our company has decided to incorporate a company in Malaysia as well. Therefore we would like your assistance to get the company registered/incorporated in soonest time. And also furnish the information which you may consider for us to ascertain. Our corporate Specialist will contact you with details for setting up a company in Malaysia. Can explain to me about how to partnership can be establish? Choosing the right form of business entity can be decisive to the success of your business. You can consider various options according to the types & scale of business. Sole-Proprietor: this is the most traditional form of business. It offers nearly NO protection to the owner of the business but is the easiest & cheapest to set up. Partnership: this is another common form of business ownership. It is rather easy to set up but lack of legal protection. Company (Sdn Bhd ): A separate legal entity jointly owned by multiple investors. It has unique advantages in raising capital and paying taxes. Sdn Bhd, Sole-Proprietor or Partnership? Which is better?choose your business entity? Contact PHP today for your company setup up.